Hypoallergenic. Safe for children. Protect your children from harmful mosquito bites with gentle, non irritating Children`s Repella. 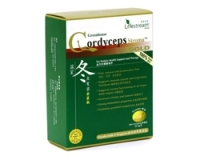 Clinically tested be hypoallergenic and suitable for children`s delicate skin. Used traditionally as herb mosquito repellent. To be used under adult supervision. Apply liberally to all exposed skin. Use on the face and all parts of the body, which may be exposed to mosquito bites. 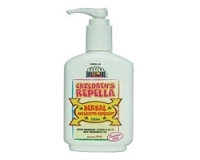 Children`s Repella is chemical free, but if rashes appear discontinue further use. Please contact a doctor if symptoms persist. If swallowed - Induce vomiting by giving a tablespoon of salt in a glass of warm water. Repeat until vomits is cleared. Call a physicans immediately. If in eyes - flush eyes with plenty of water for at least 15 minutes. Call a physican immediately. Inert Ingredients : Di-Water, Petroleum Jelly, Isopropyl Myristate, White Mineral Oil, Dimethicone, Lanolin, Carbopol, Methyl Paraben, Propyl Paraben, Cetyl Alcohol, Stearic Acid, Tea, Polawax.